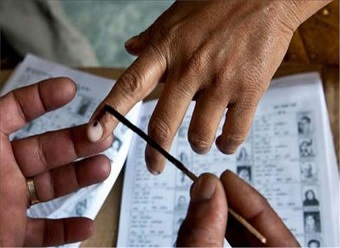 Two days ahead of the by-election to Nagaland parliamentary constituency, the Nagaland Baptist Church Council (NBCC) has urged the people of the State to vote with their God-given conscience and without influence, reminding them of the ‘Clean Election’ campaign launched by it and supported by civil society organisations and students’ bodies. The by-poll was necessitated after Chief Minister Neiphiu Rio resigned from the Lok Sabha in February to contest the State Assembly elections. The polling will be held from 7am on Monday and the counting of votes will take place on May 31. The NBCC, the biggest church organisation of the State, called upon all to prayerfully exercise their franchise to bring a change in a society that needs much mending. “The church has no control over your vote and it will not define for you to whom and for which party you should vote. Your vote is precious and it is God-given birthright. The church can only tell you that your single vote is powerful,” the NBCC said in a press release. The council said the clean election campaign is not meant just for one particular aspect of election in the state but involves every aspect of the election system that was alien to the mode of electing people to leadership position. “Maybe, we don’t take the by-election as seriously as we do with the state general election but how we deal with any electioneering system will reflect who we are,” it stated. Choosing the right candidate to represent us is important as much as we think of the mess within our own confine, it added. “Election is the civilized mode of putting up committed and able people who independently are moved to serve the people without influence. Election is not a show of power or wealth but a fair means of electing one who has the will, the ability and the call to serve the people,” the NBCC stated. Stating that the Nagas are lagging behind in all spheres of life, be it development or resources, the council said it is time that Nagas take responsibility. To be in public office, the NBCC said, one needs to possess a definite calling induced by the burden to serve and sacrifice and not for self gain. It is high time for all to say “enough is enough” and take the responsibility in the public and private arenas seriously, the NBCC added.